What’s the point? A brief look at one of the problems faced to get women composers noticed. Say you’re a world famous violinist. There’s a great violin piece you’ve heard by a historical woman composer. You think it’s brilliant and want to record it, it’ll be a world premiere recording or at least only once or twice so it’s totally groundbreaking. You spend hours convincing a pianist to accompany you and spend even longer convincing the hopelessly conservative record label you’re signed with to release it. It finally gets the go-ahead, you tell all your friends and get it released on all the major sites – Amazon, iTunes, PrestoClassical, everything. You put out videos on YouTube, record the album, you’re really pleased with it and blag about it all over social media. It gets released and you’re so pleased but then it comes to the gatekeepers, those people on the music websites with their hot-or-not lists of the “coolest” new releases. Yours has to be a sure thing right? It’s so new, so unique and interesting plus it’s on a major label and you’re super famous so everything you do should be noticed and adored right? Wrong, the new release list doesn’t mention your recording, or anybody else’s recordings featuring women composers. They talk about yet more recordings of Mozart, Tchaikovsky and Bach and your brilliant, innovative labour of love is forgotten about quickly. You think maybe I should have played it safe? Why bother playing the work of these amazing people at all if no-one will take notice, next time I’ll stick to the same, boring crap everybody’s heard a hundred times before. I’ll get the money and it won’t hurt if no-one picks it up. You carry on with your career and the music of these women fades back into oblivion. Sound familiar? We’re in the middle of this story right now. World famous violinist Tasmin Little OBE has just released a stunning new album of music by Clara Schumann, Dame Ethel Smyth and Amy Beach – 3 astonishing powerhouse badasses of the Romantic era. All three women venerated in their time. All three composers since obliterated from the white male dominated version of music history. All three composers hardly ever recorded or performed. Little’s album was released last week on 1st February 2019 on major label Chandos records. Amongst the platforms it was released on was PrestoClassical. PrestoClassical’s new release round up didn’t even mention it. I’ll tell you what it did mention though – another recording of Mahler’s 2nd Symphony, plus Schubert, Debussy, Mendelssohn and Tchaikovsky and recordings of a lot of other white male composers that are really well known. Don’t take my word for it, see the link here. So why is it that not even a world famous OBE musician on a major label playing women composers can make a dent on the stuffy, regressive release lists of these companies. Well if a customer’s looking at the website and wondering what’s cool they’re not going to search through the whole 150 or so new releases this week. Part of the reason is just 150 is an overwhelming amount to scroll through, part of it is trust. The editorial teams behind PrestoClassical know more than the average listener about what’s coming out and what’s cool. If PrestoClassical give a nice short bite-sized list of 8 releases it’s much easier to digest. This means if it’s not getting noticed by PrestoClassical editorial team it’s not get noticed by consumers, and if it’s not getting noticed by consumers it’s not getting bought. If it doesn’t get bought the message clearly gets through to record labels and musicians that taking a chance doesn’t pay off, even if these composers are from the 19th century and playing music really similar to Brahms and Schumann et al, no-one wants to hear it so don’t spend money putting a release like this out there. All this leads to women composers like Amy Beach not getting recorded again and we’ll go back to square one on the gender equality front in classical music. This is why it’s so important for this not to happen. I grew up not knowing the names of these 3 women and I’ll be damned if I’m going to let another generation grow up without knowing the names of Clara Schumann, Amy Beach and Dame Ethel Smyth. I love the album and I’m really excited to be playing the album on my show this week on Tuesday 12th February. 5pm on planetofsound.world plus it’ll be going out on Mixcloud later, more info to follow. In the meantime here’s a sneak peek of this breathtaking album. Please buy the album online from Presto, iTunes or Amazon or listen on Spotify. Mostly please tweet about it, Facebook link it and get people talking about this so the music doesn’t fade back into obscurity. PrestoClassical are one of the worst culprits. This particular instance saw Tamsin Little’s album having major airtime on BBC and ClassicFM plus it featured on Spotify Classical New Releases Playlist. Last week on Twitter I highlighted PrestoClassical’s failure to mention more releases of women composers on their January editor’s choice list. Out of 8 releases the only release of women composers was Florence Price’s new release by Naxos. The CDs below were ones released in January that featured women composers. At the end of 2018 PrestoClassical published their list of 100 best releases of 2018. There was 1 woman composer release on the list. This is a big music retailer. We need to hold them accountable for their influence on consumers and offer alternatives, there is a lot of music being created and while there are fewer releases of women composers there are actually quite a few releases coming out on a regular basis, both by major labels and smaller outfits too. In the next few weeks there are several releases of women composers coming out. The ones below are available on PrestoClassical. 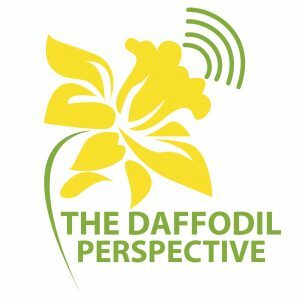 The Daffodil Perspective believes in positivity, there’s no point in just complaining, we like to show that there are positive alternatives that already exist to the white male dominated industry. Change is possible and gender balance is not difficult to achieve.